He called for eliminating the Energy Department during his bid for the presidency in 2011. Breaking with a loose tradition of appointing energy experts, scientists and industrialists as the head of the Energy Department, President-elect Donald Trump has named Texas Governor Rick Perry as secretary of energy. Perry famously was unable to recall the name of the department, one of three he wanted to eliminate, in 2011 -- the same department he is now heading, the DOE. Perry advisers at the time described it as a “human moment." Despite that gaffe, Perry has presided over significant advancements in oil, gas, wind and solar in his state. He was Texas governor from 2000 to 2015. 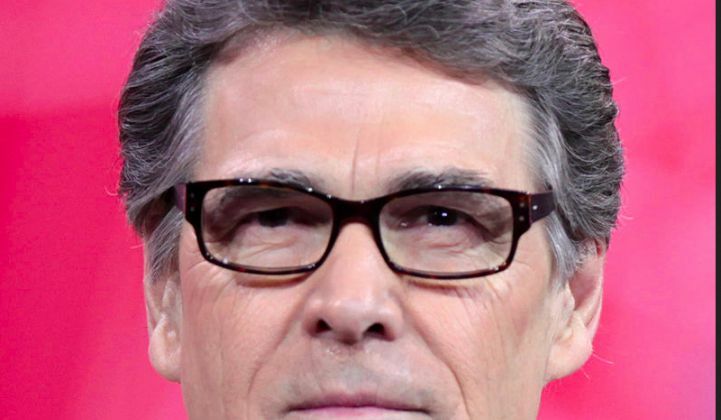 While Perry was governor, wind power in Texas surged. 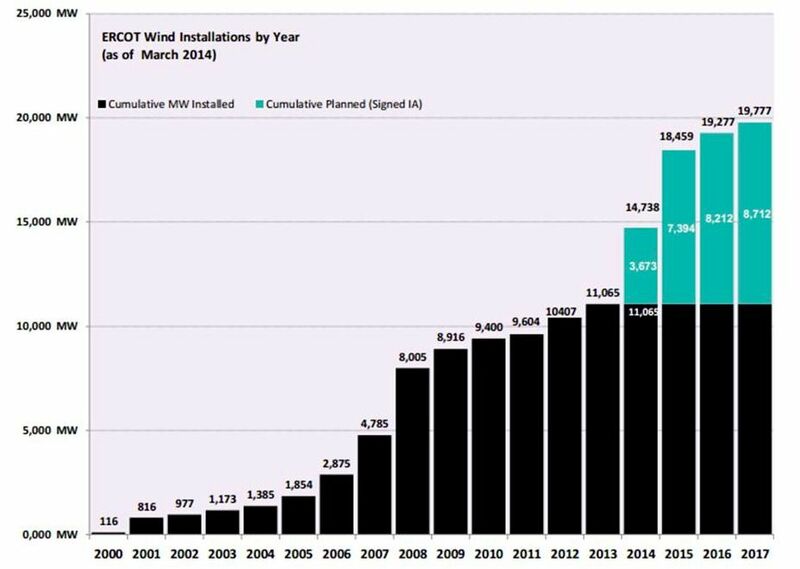 Here are the wind installation numbers for Texas. GTM's Katie Tweed recently reported on Texas grid operator ERCOT's new record for wind -- "For the first time, wind provided more than 15,000 megawatts of electricity to the state on a single day. The record wind on Sunday supplied an average of 41 percent of electricity throughout the day." Texas is already the leader in wind power in the U.S., and that lead is growing. Texas has more than 18,000 megawatts installed and another 5,000 megawatts under construction, according to the American Wind Energy Association. Texas’ success with wind power is largely due to its Competitive Renewable Energy Zones -- and a key to the growth surge was about $7 billion in transmission lines to carry the wind power where it is needed. ERCOT reports that about 685 megawatts of solar will be on-line in Texas in 2016, up from less than 300 megawatts in 2015. Solar has the potential to replace much of the retiring coal plants in the state. The Trump transition team was also reportedly considering Oklahoma fracking tycoon Harold Hamm for the role, as well as North Dakota Rep. Kevin Cramer (R) and investor Robert Grady. The DOE secretary helps form energy policy, directs energy research, and acts as steward for the U.S. nuclear military weapons fleet and radioactive waste disposal. Current DOE secretary Ernest Moniz played a crucial role in recent nuclear negotiations with Iran.